The most common situation that leads to laryngospasm is irritation of the vocal cords. Everyone knows that when a drop of liquid or a crumb of food goes down the wrong way, it’s highly irritating and provokes a fit of coughing. When the vocal cords are stimulated or even lightly touched, their natural protective response is to close up. Every anesthesiologist is taught how to manage laryngospasm, because it can be a life-threatening emergency leading to brain damage or death if the patient is deprived of oxygen for too long. 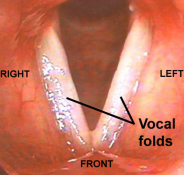 Sometimes the vocal cords relax and open up on their own, but often they don’t. The appropriate treatment depends on the exact type of airway problem that is happening. Partial airway closure (inspiratory stridor) should improve after gentle positive pressure ventilation with a bag and mask. True laryngospasm, though, won’t respond to simple bag-mask ventilation. In fact, positive pressure may make it worse. Positive pressure actually increases the anatomic ball-valve obstruction in the patient’s throat during laryngospasm. This scientific fact has been known for decades, though I fear that it’s often forgotten or underestimated. The quickest and most reliable way to treat true laryngospasm is to give a medication called succinylcholine. This immediately paralyzes all muscles and relaxes the larynx, so that the patient’s vocal cords open and the lungs can be ventilated. The public statement issued by Yorkville Endoscopy claims that an anesthesiologist evaluates each patient before any procedure, gives only light to moderate sedation, and stays with each patient throughout the procedure and into recovery. If this statement is true, and a physician anesthesiologist was with Ms. Rivers, it seems hard to believe that laryngospasm wouldn’t have been promptly recognized and treated. It may be, though, that the appropriate drugs and equipment to manage the situation weren’t immediately at hand. Some endoscopy suites decide not to buy an actual anesthesia machine for every location. Some ambulatory centers no longer stock succinylcholine because they rarely use it. And if you keep succinylcholine in stock, you also need a supply of the medications needed to treat malignant hyperthermia, a rare and potentially fatal condition that can result from receiving succinylcholine. Some news sources have speculated that it may have been difficult to insert a breathing tube for Ms. Rivers after she stopped breathing on her own. That seems unlikely if anesthesiology and ENT physicians were present, as both are expert at airway intubation. In addition, Ms. Rivers had undergone multiple surgical procedures and anesthetics before. Jokes about all her plastic surgery operations were part of her stock-in-trade. If she had unusual anatomy that made her airway difficult to manage, this would surely have been known to her doctors. My best guess—and it is only a guess—about what happened to Ms. Rivers is a hypothetical scenario along these lines. She was undergoing an endoscopy and evaluation of her vocal cords under a light to moderate level of sedation. Irritation of her vocal cords caused coughing, and the level of oxygen in her bloodstream started to drop. More sedation might have been given to stop the coughing, and she might have stopped breathing completely. Or, if the vocal cord irritation got worse, she might have gone into complete laryngospasm. The realization that a high-profile patient was in trouble would certainly have added to the stress of the team. We can easily imagine that staff members rushed to bring a crash cart with drugs and equipment to rescue her. But as the minutes ticked by, the oxygen level in Ms. Rivers’ bloodstream would have deteriorated quickly. Eventually, if a patient’s oxygen level drops low enough, the heart can’t function properly. Abnormal heart beats start to occur, followed by ventricular fibrillation and cardiac arrest. Ms. Rivers was known to have suffered from arrhythmias in the past, and at the age of 81 she could easily have had underlying heart problems such as coronary artery disease or aortic stenosis. These would have made resuscitation even more difficult. At some point, the rescue attempts succeeded and a breathing tube was placed. However, it was too late to prevent irreversible damage. It was a surprise to learn that Dr. Cohen no longer heads Yorkville Endoscopy, and it would be easy to interpret his departure as a tacit admission of error. 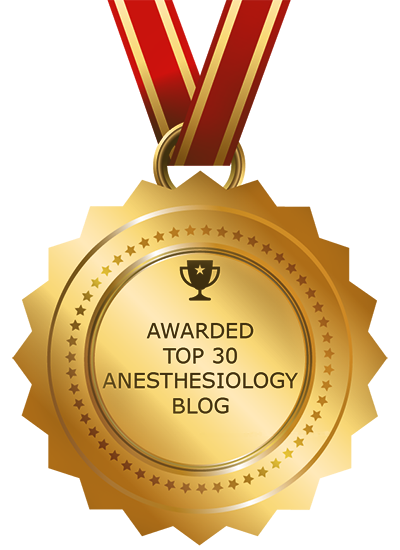 Dr. Cohen has been outspoken in his opinion that nurses may administer propofol sedation safely for endoscopy, and that anesthesiologists aren’t usually necessary. Many anesthesiologists expected that it would be only a matter of time until gastroenterologists learned how easy it can be to run into serious complications with propofol. My overwhelming feeling, though, is sympathy. A complication or a death in the operating room is a tragedy for everyone concerned. Physicians and staff members will feel the emotional after-effects for months, comparable to the post-traumatic shock of a major accident or combat experience. Some good may come out of a full report on the August 28 events at Yorkville Endoscopy. We can learn how risky even simple procedures can be. It’s important to understand that the bare-bones supplies of drugs and equipment in many ambulatory centers won’t be enough sometimes, and that no anesthesia is minor. Sadly, nothing can bring Ms. Rivers back to her family and her legion of fans. “Dr. 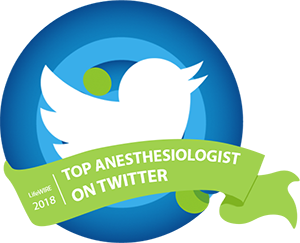 Cohen has been outspoken in his opinion that nurses may administer propofol sedation safely for endoscopy, and that anesthesiologists aren’t usually necessary.” More fool he. Using a drug without being competent to manage it’s usual effects is stupidity. Bradypnoea is quite often seen after propofol administration, especially when combined with some fentanyl. Bradycardia is also often seen. I’m guessing that one or both happened and the critical time loss before intubation effectively killed the patient. Nurses should not do ANYTHING they do not have the knowledge, skill or judgement to do. We are taught this from day one. As a nurse in an ICU setting I refuse to push propofol unless an anesthesiologist , CRNA or an MD experienced in managing airways is present (Or the patient is on a ventilator, I.e. airway protected). RN s do not intubate and need to be aware of the implications of giving this potentially dangerous drug. You need to be able to react to and be able to manage its harmful side effects. In other words, RN s should have physician or advanced practice nurse oversight– ( not oversight from the MD doing the procedure) —when giving propofol if the patient is not on a vent. That being said, its been reported by the NY Times that an anesthesiologist was present with Joan and that anesthesiologists only push propofol in this clinic. I loved Joan Rivers but lets remember that mistakes are made in the nursing and medical fields and we only feel horrible, depressed and emotionally distraught about them. I’m sure this doctor never intended this to happen. The clinic spokesperson said ” AN anesthesiologist was at a patient’s bedside throughout A procedure.” not that one was present at THIS particular procedure. If there had been an anesthesiologist present, the GI doc, the ENT doc and the center would have already blamed him/her and would have plastered their name all over the media. Why didn’t the ENT do a trach? Prob because as an endoscopy center, there were no trach sets, maybe not even a simple scalpel to do an emergency cricothyroidotomy, since it was not prepared to do vocal cord biopsies. I am not a medical professional so you may wonder why I chose this site to air my feelings. I wasn’t sure either when I started this tribute but I do now. We can’t undo what has been done. We can rehash the circumstances all day long and point fingers in every direction, watch people’s lives shatter whether or not they did the correct thing at the right time and still not have an answer as to “why”. But maybe this will help someone in the medical field who deals more with facts than feelings see things a little differently. Or, they might think “who in the world does this person think they are?? But, my mother always said “Honey, if they are talking about you, they are leaving some other poor sucker alone.” So, maybe I’m giving someone a break they really needed? I am so saddened with the passing of Joan Rivers who I have watched all of my life and have gotten many laughs that have truly engulfed my whole body and almost made me pee my pants! To have just one of those laughs is a special treat! She gave me a high end, expensive, dessert, that they set on fire, and for that I could not have thanked her enough. It surprises me when someone of her stature and notability, whom I have never met, touches me like her and Robin Williams have. In fact, as I think about it, the passing of celebrities that have touched me the most have been comedians. Minnie Pearl, George Burns, Jimmy Durante, Victor Borge and of course Lucille Ball. I’m sure that they were there to welcome Joan and Robin to their very heavenly elite club. They all took with them a very special gift that they shared freely with the world and for that I thank them. I’m sure having them in heaven gives God something to laugh about every day!! Lucky Guy!!! Excellent points Dr. Sibert. I believe the New York Times has reported succinylcholine is not available at the clinic in question. Given that limited facts are available and the contradictory information reported by the media, I think it’s impossible to determine what happened and whether any health care provider performed in a manner that is below the standard of care. Not stocking succinylcholine because of the need for dantrolene is extremely controversial. I guess cost and inconvenience would be used as the justifications. A 36 month supply is $3000; that’s less than $3 per day. The expired supply needs to be replaced every three years. Dantrolene really is a de mimimis cost and inconvenience, particularly in a very busy endoscopy center or other type of ambulatory surgical center. I also wonder whether End-Tidal Carbon Dioxide monitoring was used during the propofol sedation. I believe the American Society of Anesthesiologists has recommended that it be utilized. An ETCO2 alarm would provide one of the earliest warnings of respiratory arrest. It should alert the team that respiration has stopped, even before oxygen desaturation occurs. If supplemental oxygen was being administered via nasal cannulae, I’m wondering how the ENT would have done a laryngoscopy. They often will go through the nose. Was the O2 removed for the laryngoscopy? Was the NC moved to the mouth during the nasal laryngoscopy? Was an oxygen mask placed over the mouth during the laryngoscopy? Was an oral laryngoscopy attempted? There are numerous important questions that just can’t be determined at this point. In my experience, hypoxia will usually lead to bradycardia and PEA, then asystole, rather than ventricular fibrillation. Anything is possible, however. I assume the NY Medical Examiner will make his/ her determination as to the cause and manner of death based on the medical record and the oral history provided by the medical personnel involved. If the final autopsy report is made public, it will be interesting to see the conclusions. Unfortunately I see this as a clean kill. This is a tragic outcome and I’m sure all physicians involved thought they were doing the best for their patient, but outpatient centers such as this have a large focus on cost-savings and profit which can easily influence judgement. Using a flexible camera to look at the vocal cords is commonly done in an ENT’s office with just topical local anesthetic. Upper endoscopies are commonly done with iv sedation by a non-anesthesiologist. Combining these two procedures together with iv sedation on an elderly patient, likely with other medical problems, and perhaps more than just a look at the vocal cords…hindsight is 20-20 but clearly a good case for anesthesiologist involvement. It is sad but these sort of problems are more a result of arrogance, overconfidence or complete ignorance of how badly things can go wrong for the simplest of procedures. In this case things would have been more complicated because of her celebrity status and her advanced age. Under such conditions a cautious, experienced and good doctor would have taken extra precautions. Despite all the very best care sometimes patients do develop complications and die. Joan Rivers RIP. She has become an unfortunate victim of badly managed endoscopy procedure.